Protect your most valuable documents with Prat Start NR Archival super clear polypropylene top-loading sheet protectors. They are 100% archival with black acid-free mounting inserts. The multi-hole ring perforations offer a host of storage options. 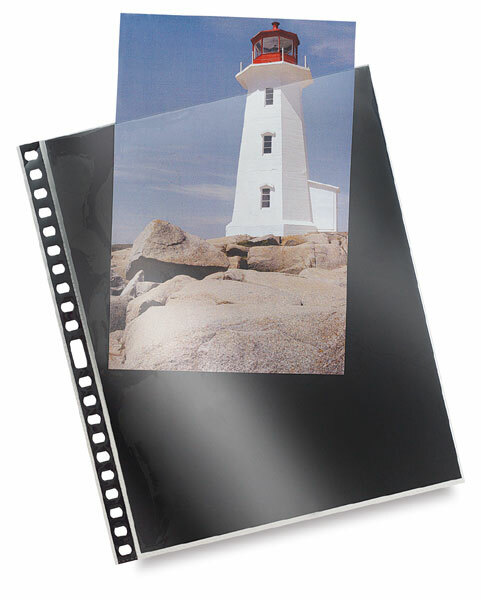 Resistant to temperatures up to 302°F (150°C) and will not lift print or toner off artwork. Pages are sold in packages of 5 or 10.